Many, many women dread going to the doctor’s office, knowing they’ll be weighed and then potentially criticized for their appearance — and that’s affecting their healthcare. 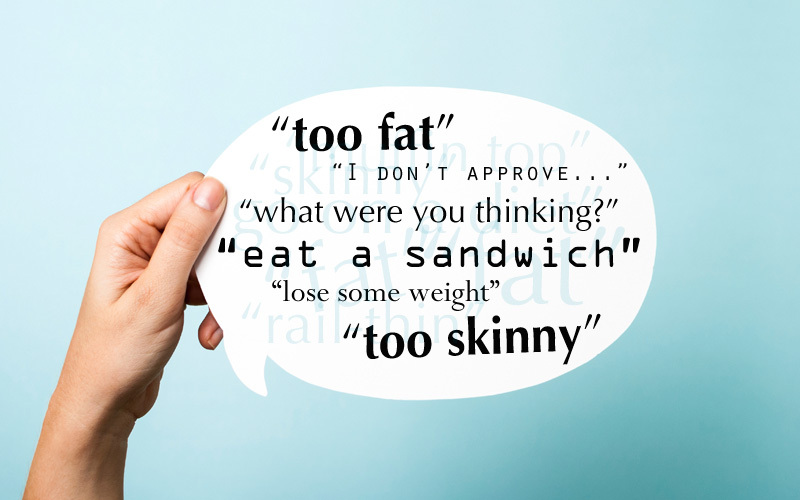 While doctors are obviously supposed to tell their patients when they’re making unhealthy decisions, which includes discussing weight gain, much of the conversation surrounding weight can be frivolous — for example, doctors continue to give their patients the spiel about arbitrary measures like the BMI (Body Mass Index), which has been proven to provide little to no information regarding someone’s health. As this article, presented at the American Psychological Association, pointed out, women who are fat shamed by their doctor tend to avoid seeking healthcare. What’s worse: Many of these women have diseases that go unnoticed or they aren’t prescribed the correct doses of their medications, according to WomensHealth.com. The article “Sizeism is a health hazard’, written by Angela Barney and Dr. Joan Chrisler, a professor of psychology at Connecticut College, tackles exactly why fat shaming can be so detrimental. Not to mention, according to Dr. Chrisler, people who are “overweight” are often generalized by doctors as “unhealthy.” This excludes many of these patients from participating in important medical research, which skews the results. Because of the lack of research that’s conducted on people who are considered “overweight,” patients who fall into this “overweight” range are often given doses that are inaccurate. WomensHealth.com pointed out that studies have shown that in many cases, “overweight” patients are not being prescribed enough chemotherapy or antibiotics. This is likely because doctors want to err on the side of caution — but why should larger people be the test subjects? This void in medical research has serious consequences, according to another study cited by WomensHealth.com. “Obese patients were 1.65 times more likely than others to have significant undiagnosed medical conditions, indicating misdiagnosis or inadequate access to health care,” the study explained. That’s just unacceptable. We all deserve good healthcare, and this blatant dismissal is just not cutting it.